Visit travel.state.gov and print Form DS-5504, Application for a U.S. Passport: Name Change, Data Correction, and Limited Passport Book Replacement Form. Fill out Form DS-5504 by hand using black ink, making sure to sign and date Page 1. Obtain a certified copy of either your divorce decree, that specifically declares the return to your former name, or your name change court order. Typically, you can obtain a certified copy from the office of the county clerk in the county where your divorce or name change occurred. Take a new, color passport photo that is 2 inches by 2 inches and clearly shows your face. Mandatory requirements for your passport photo can be found by viewing the "Passport Photo Requirements" section at travel.state.gov. The State Department recommends using a professional passport photo service to make sure your passport photo complies with all requirements. Place your completed Form DS-5504, certified copy of your divorce decree or name change court order, passport photo and current passport in protective packaging and mail it to the address listed on Form DS-5504. The State Department recommends using a traceable delivery method, so you can confirm your package arrives at its intended destination. 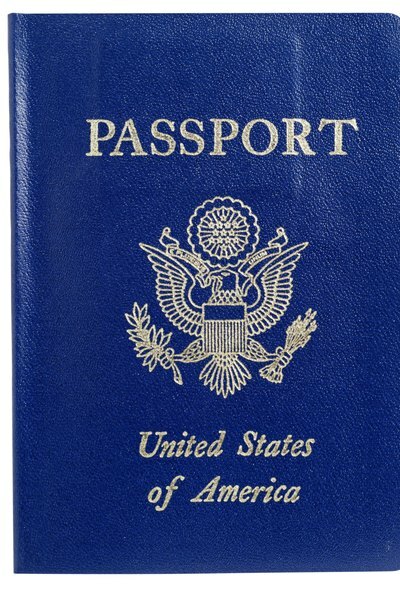 Visit travel.state.gov and download Form DS-82, Application for a U.S. Passport by Mail. Print out Form DS-82 and fill it out by hand using black ink. Make sure to sign and date Page 1. Obtain a certified copy of either your divorce decree, that specifically declares the return to your former name, or your name change court order. Take a new, color passport photo that is 2 inches by 2 inches and clearly shows your face. Mandatory requirements for your passport photo can be found by viewing the the "Passport Photo Requirements" section at travel.state.gov. The State Department recommends using a professional passport photo service to make sure your passport photo complies with all requirements. Write a personal check, payable to “Department of State,” to pay the current passport fees, which are listed at travel.state.gov. Your full name and date of birth must be printed or typed on the front of your check. Place your completed Form DS-82, certified copy of your divorce decree or name change court order, passport photo, check and most recent passport in protective packaging and mail it to the address listed on Form DS-82 using a traceable delivery method.